Systems & Solutions Inc. (Sands) offers a full range of secure document scanning services throughout southern California. From simple “scan to pdf” projects to company wide implementations, our knowledge and experience is your gain. We have over 30 years of experience in handling sensitive legal, financial and medical records for some of the largest companies in the country. As a result, we have developed management practices, tools and processes to ensure that we monitor and deliver what our clients demand. While off-shoring is becoming common practice with other companies, we operate 100% in the U.S.A. Our clients understand the value of quality, security and expediency. Our team members are committed to delivering a standard of quality unmatched by competitors. S & S is dedicated to providing the highest level of personal service and attention to ensure that your needs are met. Storing the physical document is more expensive than imaging over the life of the document. Therefore, we offer a full suite of document management solutions. We can help you make good document management decisions based on your particular needs. We understand that each of our client’s needs are different and that you may require a specialized service to fit your needs. We are here to assist in whatever manner you need. Our team is available to handle all aspects of your imaging, including picking up documents from your office, scanning, and indexing. You will be able to retrieve the images readily over the web or by e-mail, or we can copy the images to a CD or DVD for your use. After reviewing your scanned images, you can send written instructions for us to securely and confidentially shred your paper documents. Since they have been converted to an electronic file, the paper version is no longer needed. Day Forward: With this method you leave legacy documents as paper and only begin scanning new documents from the implementation date. Back-file Conversion: We would convert all of your historical documents to digital and once completed, you can then move to the Day Forward approach. Scan-on-Demand: Instead of scanning the entire box of files, our team can scan the files you need as they are requested. We will retrieve the requested file from your inventory and then prep, scan and transfer the digital images to you in your specified format. 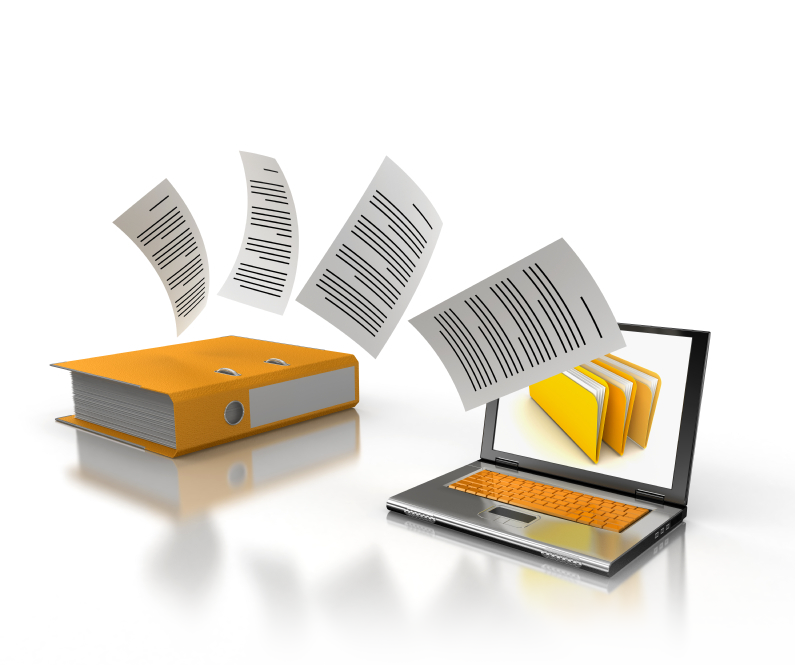 Scanned files can be printed and emailed directly from the disk that we send you. Systems & Solutions Inc. processing staff is bonded and insured, and we guarantee 100% quality on each project. In addition, we offer secure shredding (with a certificate of destruction). Offer subject to some restrictions. Our document scanning and imaging services can transform your paper piles into text-searchable digital images. Instead of dealing with file cabinets or off-site storage, your digital documents can be written to DVD or available online in our web-based document storage solution. Save time by finding documents faster. Save money by reclaiming valuable office space and reducing paper costs. Save yourself a lot of headaches by handing your project over to a scanning company who can turn your project around quickly and accurately. We can scan paper documents as small as receipts or business cards and as large as engineering drawings. We also scan film, microfiche and several other formats. We’ll index or “tag” each document based on criteria you define, so you can quickly retrieve a document. Place your documents in a box. We’ll supply you with empty boxes if needed. Your boxes of documents will be picked up from your location by us or by a courier. Your documents will be scanned at one of our high-tech, secure conversion centers. We’ll remove items such as binder clips, paper clips, Post-Its, staples, rubber bands, etc. Our scanners can quickly scan and convert any volume of documents into high resolution digital images. We can scan and convert your documents to searchable PDF files or TIFF images. Using Optical Character Recognition (OCR), we can make each file text-searchable so you can easily find it later. Your document images can be written to DVD or hosted online in our secure web-based document storage solution which is HIPPA compliant. Call for a Price Quote Now!! !